With the help from the Slow Feed Pet Bowl with a heavy duty plastic design, your pets feeding time can be slowed down by up to 5 times. 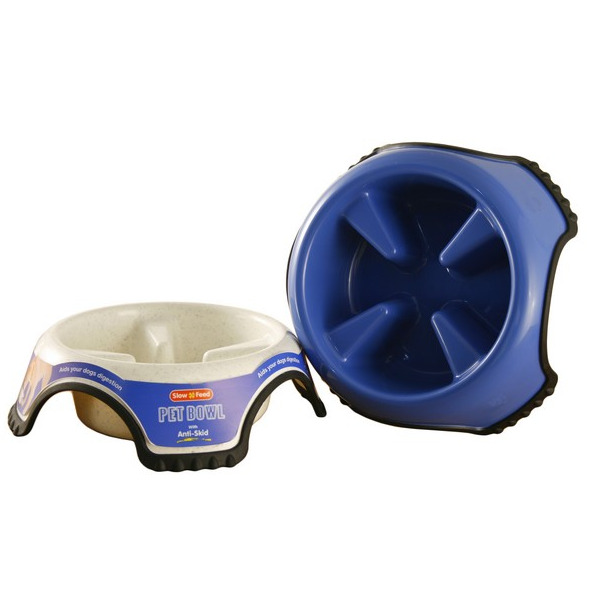 By pacing your pets feeding time, your pet can retain more valuable nutrients from its food and with the Anti Skid rubber base design, the bowl is prevented from moving around whilst your pet is eating. The dimensions given are for the diameter of the top of the bowl and the depth of the actual feeding space. There are currently no questions for Animal Instincts Anti Skid Slow Feed Dog Bowl - be the first to ask one!